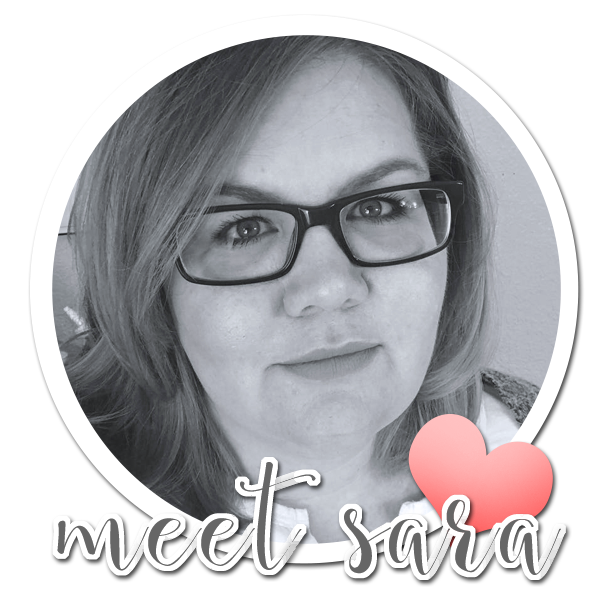 Much love, Sara | Cards & Paper projects made with love: Holy COW! 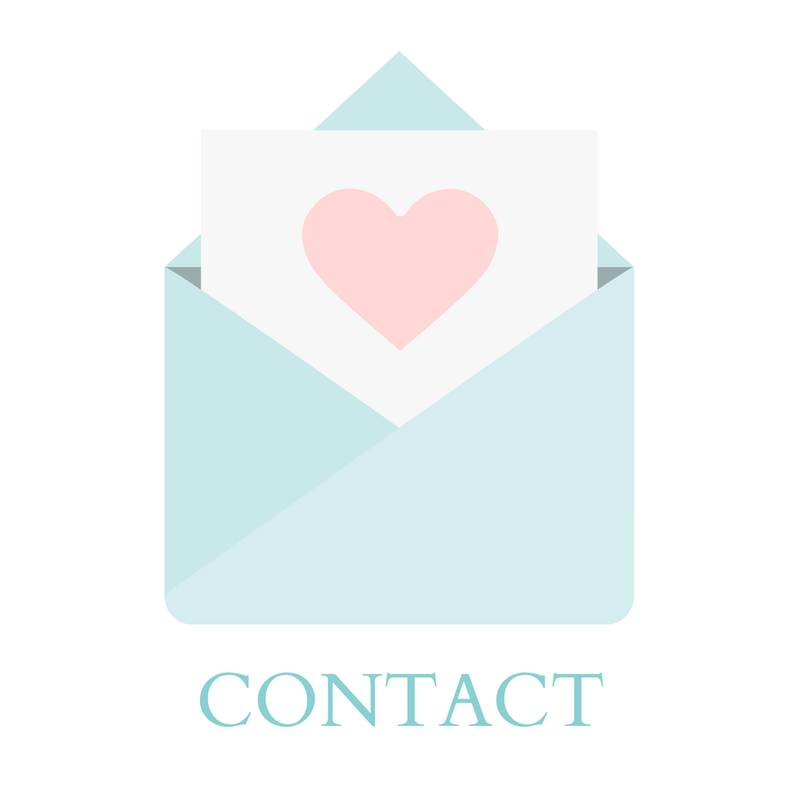 OK, Personal stuff first today: So, you may have noticed I've been conspicuously absent lately from the blogging world. Well, there's a reason for that. Hubby and I are buying a house! We had planned on doing this in another year or so, but our deadline was unexpectedly moved up. So, I have been in stress mode getting together everything that I thought I had until next spring to do. Long story short, we're in the paperwork end of things now, and will hopefully be closing/moving at the end of the month. This all has just left me with little time and inclination/inspiration to get much crafting done. Hopefully, once I'm in my NEW craft room, things will go back to a bit more of a regular schedule around here! I have a card to share with you today for the latest challenge over at 613 Avenue Create! This week our Anything Goes Challenge features the optional twist of creating using the sights/sounds/smells and/or tastes of summer! 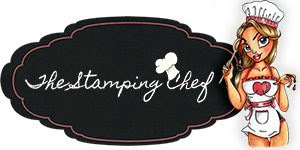 I'm working with the adorable "Cowabunga" stamp from one of our sponsors this week - The Stamping Chef! For me, summer is always going to be associated with fair time. And fairs are always going to associated with farm animals, red gingham, and a red, white, and blue color pallet. I used Pebbles "Americana" papers on my card, along with Rope King jute twine, and Mark Richards self adhesive nail heads. 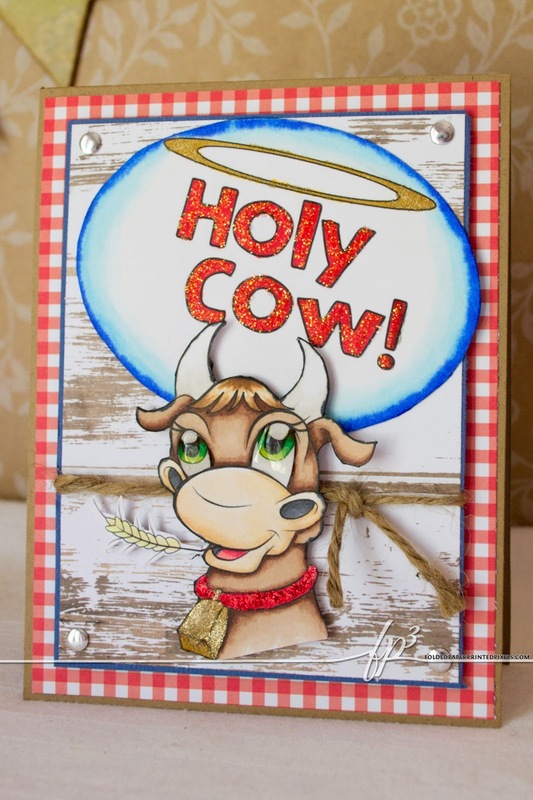 That country styling of the card needed a little glam-ing up, so I added some Glossy Accents to ol' Betsy's eyes, as well as using my gold Wink of Stella pen, and some red and clear Stickles. This is just too cute, Sara! Loving the red gingham paper. :-D We're just tickled pink that you chose to play along in our "Anything Goes" challenge at Through the Craft Room Door this week. Good luck in the draw and I hope we see you again soon. 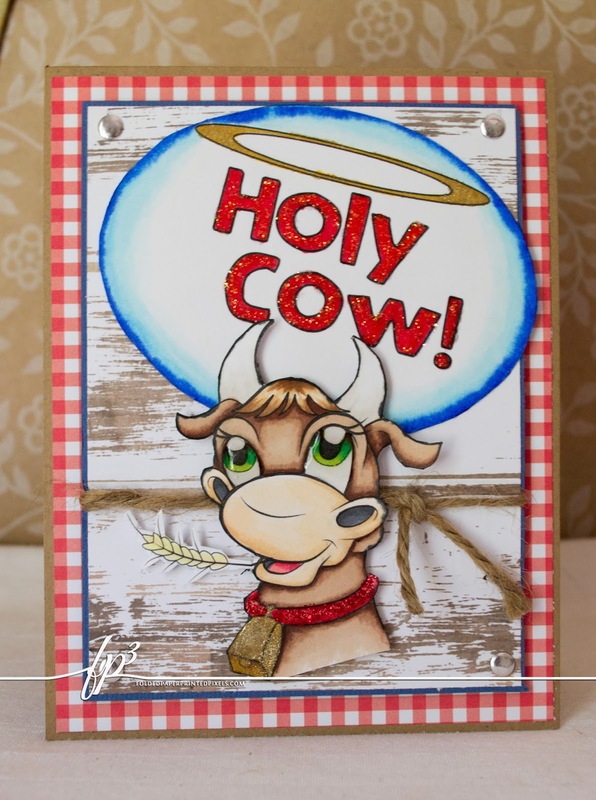 I really like the country look you achieved with the papers & jute - and the fussy cut & elevated cow is priceless with that sentiment! His green eyes really amuse me! LOL!